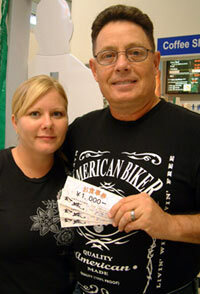 Donny Nelson won a meal ticket to Yakiniku Kinjo restaurant in the Japan Update raffle this week. He is from Jonesboro, Arkansas, and has been on Okinawa about two and half years, saying that it has been an outstanding time for him and his family. On his free time he likes to ride on his Harley, hunting, fishing and keeping his wife Heidi happy. Rowena B. Tamaki won \4,000 worth of KDDI’s Route K-OK telephone cards that will giver her plenty of time to chat with friends and loved ones overseas during the holidays. 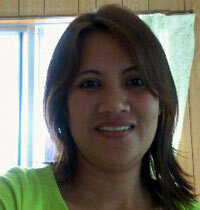 Originally from the Philippines, she has lived on Okinawa two years. She says she spends her free time on shopping and taking care of kids.